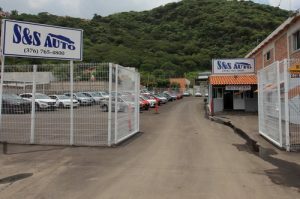 Historically, there were two mandatory taxes payable for Jalisco-plated vehicles, Refrendo and Tenencia. But in 2012 they eliminated the costly federal Tenencia tax – reducing the annual registration cost drastically. However, in Jalisco, the Refrendo is still an annual obligation. It is a municipal tax for license plate renewal, payable to the Secretaria de Finanzas – no matter what model year the car is. The cost runs approximately $30 USD. This tax is due the first quarter of each year, with discounts in the first quarter, after that, fines. With every receipt they will issue a sticker and a circulation card (Tarjeta de Circulacion). You must carry the original circulation card in the vehicle when driving. If you don’t you could receive a fine. Do not make color copies that appear as originals, this could be considered as fraud, and they take that seriously – in this case, always print “COPIA” on the copy (this applies to your driver’s license or any type of official documentation). If you lose the Tarjeta de Circulacion (Circulation Card), no problem, a replacement can be obtained easily. When you purchase a used car if the taxes have not been paid, the license office will charge any outstanding annual taxes (up to five years previous) along with a mandatory Buy/Sell tax to the buyer. It is important to keep all original receipts (i.e. Refrendo, Tenencia, tickets), especially if selling the vehicle to someone in another jurisdiction as they will request the originals for the last five years. If originals are lost, than certified copies can be requested from the license office in the jurisdiction where the car is currently registered. All Jalisco-registered vehicles are obligated to get an annual emissions certificate (smog check), called Afinacion Controlado. These are necessary inspections, available through certified mechanics, designed to maintain pollution control. The due date is based on the last digit of your license plate number (i.e. 1 = January, 2 = February, 3 = March, and so on – however, they skip July so July = 8, August = 9, etc).